If you’ve not used Yahoo Messenger software before, I know how excited you might be to download it and give it your go. Because, for the first time, when I used it – I felt wonderful, I was impressed, I liked it at first instance. I was able to do video chatting with my friend sitting thousand miles away from me. I was able to do some fun with unknown people in public chat rooms. I, along with my friend, were able to doodle, to draw something on the screen together. My first experience, I still remember. Technology has distanced people, many people claim, but it has provided many ways and tools to compensate for the same by opening easier communication channel online. 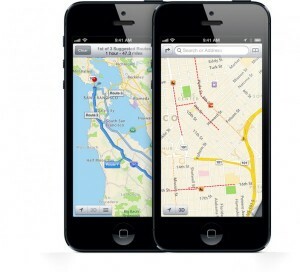 It has not actually made communication gap, rather changed the way we communicate. Technology with the help of internet has broadened the scope and form of communication possible in the present world. It has brought the entire world closer and has made the world, its people more communicative and open-minded than ever before because technology doesn’t induce disparity, rather facilitates the same power to everyone to help them express themselves. 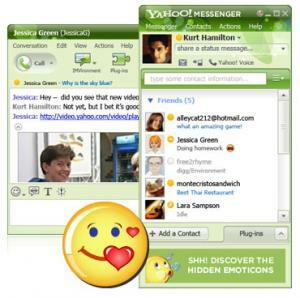 Now lets switch back to our main topic here – Yahoo Messenger. Instant Messaging with any person – You can chat (text) online with anyone on yahoo. The chat happens in realtime. It is so spontaneous that you can even see when the other person is typing a message. PC to PC voice call – You can talk with other person for free online using the mic of your computer. There might be certain call-drop issues if you have very slow internet connection otherwise it’ll be like talking over phone line. Video-Chatting – You can do video-chatting online with your friends and families. You’ll be able to see your relatives online and talk with them. Video-chatting is unique kind of experience every time I do, no matter how many times I have done this, I still feel excited about online video-chatting. Of course, for video-chatting, both sides should have working webcams. Send SMS for free to your friends on their mobile number using Yahoo Messenger. This is great option in yahoo. Ability to chat with strangers in public chat rooms and make friends. 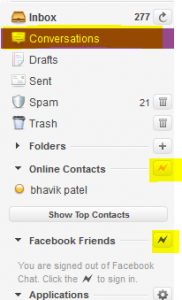 It notifies you whenever new yahoo mail arrives for your account and thus acting as mail notifier. 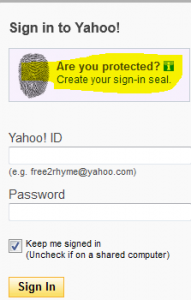 Access to other yahoo services like yahoo games, news, videos, music, etc with just a few clicks. Ability to integrate your facebook account and to chat with your facebook friends right within Yahoo Messenger. Several funny and emotions-depicting yahoo smileys and emoticons available to add emotional meanings to our conversation. Support for IMvironments which change the background display of conversation window changing the mood and feel of chatting. Online installer is small setup file of Yahoo Messenger but during installation of the program, internet connectivity is required. Standalone setup file is about 10-20 mb in size but it is a one-time download and therefore during installation of the program, internet connectivity is not required. What do you think of Yahoo Messenger? We’d love to hear from you! Keep reading our blogs for yahoo messenger tips. I tried to log in yahoo many times but failed.